VW deadline extended and company recalling e-Golfs: Volkswagen had its March 24 deadline extended to April 21 to submit its fix for about 580,000 diesel vehicles in its emissions scandal. U.S. District Judge Charles Breyer had previously scheduled a March 24 deadline for VW to report where it stood on remediation efforts with the U.S. Environmental Protection Agency and California Air Resources Board. Breyer, VW, and the regulators agreed at the hearing in San Francisco that progress has been made in negotiations, but issues remain and no settlement had been reached yet. While plug-in electric vehicles might be mandated as part of the settlement, VW has to address a recall of nearly 5,600 e-Golf electric cars to deal with a battery problem that can cause stalling. The recall covers all of the electric vehicles it’s sold in the U.S. since it launched in November 2014, which may be caused by a software malfunction. 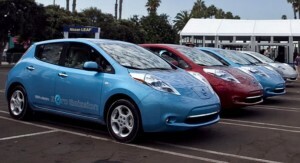 Dealers will be installing updated software into the electric cars during the recall process. VW may not be the only OEM dealing with emissions scandals. A report by CDP forecasts that 15 automakers could be facing up to $4.8 billion in emissions penalties primarily from U.K. and U.S. regulators. The study says that General Motors and Ford are the most at risk and could face a combined $1.8 billion in emissions penalties. Webinar on training stakeholders: A complimentary ACT Expo webinar will be held on April 7 at 10:00 a.m., “Comprehensive Training for AFV Deployment: Internal & External Stakeholders.” William Davis, Director at National Alternative Fuels Training Consortium (NAFTC), will cover the training needs for each audience, including: internal staff and external support stakeholders; possible alternative fuel vehicle (AFV) codes and standards and how they may impact stakeholders; what to do/not to do when providing AFV training for impacted stakeholders; and resources available and where to find training. You can register at this site for the webinar. Biodiesel ranks high with fleets: According to a new 2016 Fleet Purchasing Outlook study conducted by the NTEA – The Association for the Work Truck Industry – biodiesel is now the most commonly used alternative fuel option on the market. Survey data shows 18% of fleets use biodiesel now – up from 15% in 2015. For future alternative fuel interest, biodiesel also did very well in the study, with more fleets planning to acquire or continue using biodiesel than any other alternative fuel option. 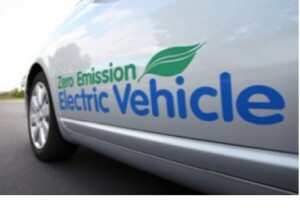 EV incentives study: Incentives have been a vital element for launching and selling plug-in electric vehicles in the U.S. and aboard. A new Navigant Research study looks at incentives affecting vehicle purchase price, registration process, vehicle operation, and vehicle charging. Demand-side policies have been particularly effective at driving sales growth to specific markets. Leading electric vehicle markets covered in the study include North America, Europe, and select Asia Pacific countries, including China, Japan, and South Korea. Ford shares on energy-efficiency projects with G7: Ford is sharing its Partnership for A Cleaner Environment (PACE) with G7 nations — Canada, France, Germany, Italy, Japan, the United Kingdom, and the U.S. – to share best practices and innovations with businesses and public agencies. PACE is an environmental reporting tool for Ford suppliers that will help partners save money and reduce their environmental impact. In 2013 alone, Ford invested more than $5 million in energy-efficiency projects and significant energy-related upgrades were included in its global manufacturing system upgrades. The company has also implemented a number of water-reduction technologies and process improvements, including using membrane biological reactors and reverse-osmosis processes to recycle water from on-site wastewater treatment plants; this allows Ford to avoid using drinking water in its manufacturing processes. Breaking electric car speed record: An electric car conversion company claims to have broken the fastest speed record for production-based electric cars. Genovation Cars converts Corvettes to electric vehicles, creating a high-performance sports car it calls the Genovation eXtreme Electric (GXE). The car was able to reach a top speed of 186.8 mph after one mile around a track at NASA’s former Shuttle Landing Facility at the Kennedy Space Center in Cape Canaveral, Fla. The test track run beat a previous record of 177 mph as certified by the International Mile Racing Association. The GXE uses An electric powertrain that can generate 700 horsepower and 600 pound-feet of torque, the company says. Anticipation building for Model 3 launch: Interested in getting one of the first Tesla Model 3 electric cars? Online reservations will open up Thursday morning of this week hours before the car is revealed at the Tesla and SpaceX facility in Hawthorne, Calif. It will price, prior to incentives, at $35,000 and will go 200-plus miles on a charge. Tesla Motors is counting on high volume sales for corporate growth in coming years; the company expects to be selling hundreds of thousands of Model 3 units per year. Don’t overstate the impact, Deutsche Bank says: While technological innovations and revolutionary business models, like the launch of Uber and self-driving vehicles, carry huge potential for commuters and carmakers, one international bank thinks perspectives are being overinflated on the initial impact. Analysts at Deutsche Bank AG think that there are a lot of misconceptions about how the on-demand revolution will affect automakers, especially its impact on sales volumes. “The consensus view is that auto sales will decline, and that this will be negative for U.S. original equipment manufacturers,” wrote Deutsche Bank’s team led by Rod Lache. “We believe that the consensus view may be wrong.” However, growth in use of on-demand vehicles could ultimately reduce the number of cars on the road in the U.S. by more than 25 million, with population density serving as a key determinant of the size of the on-demand fleet, the analysts say. Charge Ready bringing stations to SoCal: Southern California Edison has launched a $22 million pilot program, called Charge Ready, to install 1,500 electric charging stations throughout its covered area. Installations will likely start this fall, pending approval from the California Public Utilities Commission, and will see chargers placed at locations where cars are parked for extended periods of time, such as workplaces, campuses, and apartment complexes. Timing for autonomous vehicles: Don’t get too optimistic about self-driving roads hitting our roads in large numbers anytime soon, according to an expert in the field. Speaking before the U.S. Senate Commerce Committee, Missy Cummings, an engineering professor and human-factors expert at Duke University (and director of Duke’s Humans and Autonomy Lab) shared her perspective that self-driving cars are “absolutely not ready for widespread deployment.” Cummings, 49, had been one of the Navy’s first female fighter pilots from 1988 to 1999 and managed a $100 million Navy program to build a sensor-laden robotic helicopter. 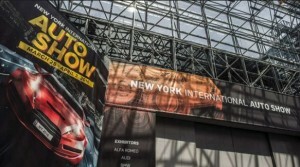 High performance luxury sports cars took center stage at this year’s New York Auto Show. New product launches included Audi’s convertible version of its R8 supercar, the R8 Spyder; the redesigned Lincoln Navigator concept luxury SUV; and the Mercedes-AMG C63/C63 S cabriolet with 503 horsepower and 516 ft-lbs. of torque in the C63 S. Fuel efficient and alternative technology vehicles wasn’t the star of the show, though it did have its presence; even though gas prices are down, automakers are continuing to move forward to diversify green car offerings on the market and to meet federal and state of California fuel economy and emissions standards. Hyundai’s Ioniq took the most attention among green cars being shown off, and the Toyota Mirai fuel cell car won an international award. Hyundai announced that its newly unveiled Ioniq will roll out to dealers later this year in hybrid, plug-in hybrid, and battery electric vehicle options. Hyundai’s putting a lot of hope in the Ioniq to move its brand along with excellent gas mileage and attractive plug-in range; and as its first dedicated alternative technology model. Hyundai wants to be the second largest green car seller in the world by 2020, following Toyota, so there’s a lot of expectation on the Ioniq brand to perform. The hybrid version may be rated at 57 or 58 miles per gallon in combined city and highway mpg. The plug-in hybrid will get 25 miles of battery power before the gas engine kicks in with a total driving range of about 600 miles using its battery and gas engine. The battery electric car will go 110 miles per charge, farther than the Nissan Leaf. Hyundai’s Genesis brand showed a hybrid-powered, cleanly styled concept luxury sedan. The stylish hybrid concept car is the latest offering from Hyundai’s newly launched Genesis luxury brand. It offered a glimpse of the upcoming Genesis G70 that has its sights set on the BMW 3-series; and it’s meant to set the stage for the future of the Genesis brand. The 2017 Prius Prime plug-in hybrid was Toyota’s most visible showing in New York. It suggests that Toyota remains committed is to its Prius lineup of hybrids at a time when gas prices remain at unexpected lows. The introduction of the Prius Prime plug-in hybrid comes two years after Toyota ended production of its previous Prius plug-in hybrid car. The first Prius plug-in car went just 11 miles on a full charge and dropped in sales after an initial surge. Toyota estimates that the Prius Prime will get 120 or more miles per gallon equivalent, which would be the highest MPGe rating of any plug-in hybrid. It will offer a significant 26% improvement over its predecessor Prius Plug-in. In the SUV segment, Toyota demonstrated a hybrid version of its Highlander, Honda Motor Co.’s Acura MDX will get a new “sport hybrid” option, and the Maserati Levante is available in hybrid form. As for supercars, the Koenigsegg Regera revealed in New York combines electric drive with a V-8 engine to generate more than 1,500 horsepower. During a ceremony on Thursday at the show, The Toyota Mirai hydrogen fuel cell car was named 2016 World Green Car. The Mirai was one of eight global vehicles nominated for the annual award. Judges factored in tailpipe emissions, fuel consumption, and use of a major advanced power plant technology to increase the vehicle’s contribution to sustainability. While it’s only rolling out now in California, advocates of hydrogen fuel cell vehicles see the Mirai as a major stepping stone in moving the technology forward. BMW’s next phase: BMW is making a move to reaffirm its top spot as the largest global luxury carmaker with announcements on the iNEXT autonomous electric vehicle, additions to the i3 and i8 models, and more versions of the high-end 7-series sedan and X7 SUV. During BMW’s annual financial press conference, CEO Harald Krueger said the iNEXT will arrive in the next 10 years and will use new sensor technology and powerful software for automated driving. Krueger said it “will set a new benchmark in this area.” The company will soon launch a roadster version of its i8 plug-in hybrid sports car, a new version of its i3 with increased battery capacity and a longer range, as well as a plug-in hybrid for its Mini brand. Daimler has been poised to seize the No. 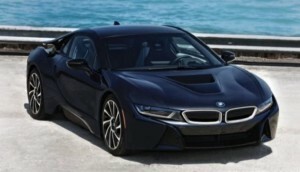 1 luxury spot, and BMW has been reevaluating its product lineup and market identity. BMW would also like to strengthen sales of the i3, which have dropped lately, and its image as the most sustainable luxury brand in the world competing head on with Tesla. EVI acquisition: Electric Vehicles International (EVI), a maker of battery electric light- and medium-duty trucks and a plug-in hybrid utility service truck, has been acquired by First Priority GreenFleet. First Priority GreenFleet describes itself as “a total solutions provider to sustainable fleets that brings customers a full range of zero and low-emission vehicles that allow them to select the products and infrastructure that best fits their needs.” Its parent company, First Priority Global, manufactures a variety of specialty vehicles, including firefighting, medical, rescue, and public safety equipment. EVI also sells powertrains and performs conversions. Federal tax credits: For those electric vehicle owners looking at federal income tax credits before their annual tax filing next month, Green Car Reports has provided an update on vehicles sold through the end of December 2015……. 2012-2015 Toyota Prius Plug-In Hybrid: $2,500; 2013-2016 Ford Fusion Energi and C-Max Energi: $4,007; 2011-2016 Chevrolet Volt, Nissan Leaf, Tesla Model S, and other battery electric and plug-in hybrid models: $7,500. Audi expands e-gas: Audi’s new Allendorf plant in Germany is expanding capacities for its sustainably produced e-gas through its partner company, the Viessmann Group. Viessmann is the first partner company to produce additional quantities of the synthetic fuel in a new type of biological process. In the Audi e-gas plant in Werlte, e-gas has been produced using a chemical-catalytic process under high pressure and high temperature. In the new Viessmann plant, methanation is now purely biological and creates a new molecule methane. Audi will be able to supply a growing number of customers with sustainably produced e-gas in the future. UPS investing in NGVs: UPS is making a major investment in natural gas vehicles and fueling stations – $100 million on 12 more U.S. fueling stations and 380 more heavy-duty tractors powered by compressed natural gas. TruStar Energy is building the fueling stations, Kentworth Truck is providing the tractors, Cummins Westport the ISX 12G engines, and Agility and Quantum Fuel Systems will provide the CNG systems on the trucks. UPS is now operating 6,840 all-electric, hybrid-electric, hydraulic-hybrid, CNG, liquefied natural gas, and propane-powered vehicles. 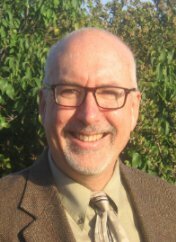 Renewable diesel webinar: Check out a webinar on renewable diesel and the EPA’s Clean Diesel Program. Hosted by the Center for Alternative Fuels and the Green Transportation Summit and Expo, Dan Brown of the US EPA Region Nine and Gary Lentsch from Eugene Water & Electric Board talked about new tools to help you offset your carbon footprint and maintain regulatory compliance. Other discussion topics included options for accessing public funding to offset the cost of compliance with CARB and EPA regulations; and discovering the benefits and arguments for renewable diesel. Hydrogen racer: Attendees at the Geneva Motor Show got to see the world’s fastest hydrogen fuel cell vehicle, H2 Speed. Italian car design firm and coachbuilder Pininfarina showed off the H2 Speed Concept. So far it’s a track-only hydrogen-powered car that can go 180 mph and can shoot from 0 to 62 in 3.4 seconds. The company estimates 300 to 350 people in the world are prepared to pay a seven-figure sum to own the zero emission exclusive sports car. EV advocate dealer: Max Myers Chevrolet, of Middlebury, Ind., has been credited by electric-car advocates Chris Neff and Tiffany Raim as being a leader in bringing plug-in electric vehicles to the heartland of America. Second-generation owner Neal Myers has sold out every Chevrolet Volt it’s had delivered since they went on the market in 2011. Customers include out-of-state buyers and locals. The dealers’ staff has been trained on Chevrolet’s plug-in vehicles; and Myers regularly sends them to training courses to make sure they’re staying current. Even with low gasoline prices, Myers says the trick is reaching interested consumers and inviting them to visit for a test drive. VW remediation fund: Volkswagen has been in talks with the U.S. Environmental Protection Agency and California regulators to establish a national remediation fund and a separate one for California, according to an inside source. This will be a penalty enforcement for emissions from its cars after the automaker cheated on diesel-emissions tests. The EPA fund would be used to promote clean transportation throughout the U.S.; the other would be run by California to promote zero-emission vehicles in the state. Dealer group suing Virginia and Tesla: The Virginia Automobile Dealers Association (VADA) sued both Tesla Motors and the state’s Department of Motor Vehicles alleging a conspiracy to ‘hide’ the opening of a second Tesla retail store. The state is considering a second Tesla location in the city of Richmond; the suit alleges that Virginia’s DMV and Tesla have been violating the terms of a 2013 agreement that prevents Tesla from opening a second facility in the state until 2017. Advanced mobility continues to look tangible and coming sooner to market than it appeared a couple years ago. Google’s unveiling of its small fleet of self-driving cars for road tests in the Spring of 2014 triggered a flurry of debate about the launch of road-worthy automated cars by 2035. That timeline may be shortening to 10 years or less, at least for automated driving technologies coming to market. Uber may have asked a few automakers for details on placing a large order for self-driving cars, an industry source told Reuters. Uber may have placed an order for at least 100,000 Mercedes S-class cars, but this isn’t being confirmed by Daimler or Uber. The executive sedan doesn’t year have fully automated features, nor do any other cars available on the market beyond road tests. Uber needs to cut its largest cost – paying drivers – so self-driving cars are a logical step for the on-demand transportation company. Audi, Mercedes-Benz, BMW, and suppliers Bosch and Continental are working hard on advancing their technologies, as are several other OEMs and suppliers outside Germany. Analysts at Exane BNP Paribas see a $25 billion market for automated driving technology by 2020. As for fully autonomous vehicles coming to roads, the brokerage firm sees that happening by 2025 or 2030, in part due to regulatory hurdles. General Motors is following up its January investment of $500 million in the second largest ridesharing company, Lyft, with a symbolic step forward. GM and Lyft this month will launch a short-term rental program for Lyft drivers in Chicago with a fleet of 125 Chevrolet Equinoxes. Similar to Uber offering car loans for drivers who don’t yet have their own car, Lyft drivers will be able to rental GM vehicles to do their work. 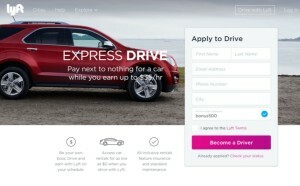 The program, called Express Drive, will rent vehicles to Lyft drivers for one to eight weeks, including free maintenance and insurance. The companies said it will soon roll out to Boston, Washington, D.C., and Baltimore prior to a nationwide rollout. Drivers will have an incentive for delivering riders more miles. Drivers who complete fewer than 40 rides a week will pay $99 a week and 20 cents a mile. For those driving between 40 and 64 rides, the mileage fee will be waived. Drivers who make 65 or more rides will have free access to the Equinox. GM chose the Chevrolet crossover because it’s compact and it offers a comfortable interior and versatile storage, said Julia Steyn, GM’s vice president of urban mobility programs. Steyn also said Express Drive will build the infrastructure for an eventual fleet of on-demand autonomous vehicles, the long-term goal of the partnership. Renting the vehicles and tracking driver contracts will be managed by Maven, the mobility subsidiary that GM created in January. GM is covering maintenance costs and is sharing the insurance cost with Lyft and Warranty work will be done at GM dealerships, Steyn said. On-demand car service Uber announced this morning a new feature designed to make it easier for its customers to pay for rides for their friends and family: Family Profiles. The option was one of Uber’s most frequently requested features, the company notes, and will initially go live in a handful of markets, including Atlanta, Dallas and Phoenix, before rolling out elsewhere. Though dubbed “Family Profiles,” the option to pay for others’ rides doesn’t only extend to those in your immediate family – you can choose to add anyone to this group in the app, including friends, co-workers, or anyone else. However, it makes the most sense for those who want to bill trips taken by others all to the same payment card – that means those who you add will need to be part of a fairly trusted group of people. For example, parents could use the Family Profile setting with their kids in college – allowing them peace of mind that their child would always have a free ride home, when needed. You could also use it to help others you care about who may need the financial assistance. Major feature on China and EVs: Automotive News has researched the deep interconnection between Chinese investors and electric vehicle manufacturers and suppliers – a trend that appears to be shaping the next phase of the global electric vehicle industry. 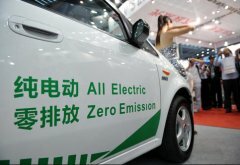 Wheego Electric Cars, Smith Electric Vehicles, Protean Electric, A123 Systems, and Karma Automotive are being revived from financial crises and potential shutdowns through mergers and acquisitions tied into Chinese government incentives for EVs and restoration in markets like the U.S. and Europe. NHTSA on self-driving cars: The National Highway Traffic Safety Administration is working on guidance to states, policymakers, and companies on self-driving vehicles that it hopes to release in July. NHTSA thinks major legal hurdles will have to be cleared before autonomous vehicles without steering wheels and gas pedals can be allowed to be sold in the U.S. NHTSA did tips its hat toward Google in February. The agency said that the artificial intelligence system piloting a self-driving Google car could be considered the driver under federal law. That could be a major step toward winning approval for self-driving vehicles on U.S. roads. NHTSA is looking into a Feb. 14 crash of a Google autonomous car into a municipal bus in Mountain View, Calif.; that may have been the first crash caused by an autonomous vehicle. Faraday in Nevada: Faraday Future has set up a $75 million bond, and set aside $13 million in an escrow account, to show that it can meet its financial obligations to gain approval to set up its electric car factory in North Las Vegas. The bond was required under a $215 million tax-incentive package approved by Nevada lawmakers in December, according to the Las Vegas Review-Journal. Millennial car buyers: Millennials may enjoy Uber, Lyft, Zipcar, and Car2Go, but they are starting to buy cars in big numbers. They are getting their drivers licenses later than did Baby Boomers and Generation Xers, but it is starting to happen. Millennials’ share of the new car market jumped to 28% last year, according to a J.D. Power and Associates study. In the country’s biggest car market, California, Millennials outpaced boomers for the first time. In past opinion surveys, Millennials/GenYers in their early 20s to mid-30s, have expressed a lot of interest in electric vehicles and hybrids. A new study by Kelley Blue Book concludes that while ridesharing and carsharing services are growing rapidly in transaction, it doesn’t necessarily mean that new car sales will go away. These fast-growing transportation services may actually present an opportunity for dealers and others in the auto industry. VW loses U.S. president: The Volkswagen diesel vehicle emissions reporting scandal took another sharp turn last week when VW Group of America announced the immediate departure of its president and CEO Michael Horn. Horn had been with VW since 1990. He was well-liked by VW dealers now struggling with vehicles they can’t sell and continuing public concern over the VW brand. The National Automobile Dealers Association issued a statement of concern over the impact it will have on VW dealers who have been hit hard by the scandal. In other news, about 300 institutional investors in Volkswagen have filed a $3.6 billion lawsuit in Germany. The suit states that these investors see as breaches of its capital markets duty in the emissions scandal. Fleet awards: Gladstein, Neandross & Associates, organizers of Advanced Clean Transportation (ACT) Expo, has teamed with Penske to launch the first-ever ACT Expo Fleet Award. The awards will recognize true leadership in sustainable transportation in several categories such as supply chain, good movement, shipper/carrier partnership, work truck, public fleet, and private fleet. The winners will be announced during ACT Expo 2016, which is being held May 2-5, 2016, at the Long Beach Convention Center in Long Beach, Calif.
Ford has started a new division called Ford Smart Mobility LLC. Ford launched the Smart Mobility initiative in early 2015, which has conducted numerous experiments into how people get around. The automaker also launched several pilot programs, including an Uber-like shuttle service for employees, a car-sharing program, and an on-demand public bus service. The new division will create “commercially ready mobility services” and invest in outside ventures, the company said. GM buys Cruise Automation: General Motors is adding to its selection of urban mobility services with its acquisition of Cruise Automation, which makes a $10,000 aftermarket autonomous driving kit. The system uses radar sensors and other hardware that relay signals to in-car actuators to control the vehicle’s steering, brakes, and throttle. The companies did not disclose the price paid for GM’s acquisition. Jet biofuel: United Airlines has agreed to buy as much as 15 million gallons of sustainable biofuel over the next three years from AltAir Paramount’s refinery in Paramount, Calif. The biofuel blend cuts carbon emissions by more than 60% compared to with traditional jet fuel, the airline said. Flights between Los Angeles and San Francisco will be fueled by a blend of 30% biofuel and 70% petroleum. More biodiesel fraud: Federal prosecutors have enforced the Clean Air Act for another biodiesel fraud case. Philip Joseph Rivkin, the owner of a Texas biodiesel company, has been sentenced to 10 years in prison and fined $138 million for biofuels fraud. Rivkin created and sold more than 60 million false biodiesel credits under the federal renewable fuel program. If you look at U.S. green car sales numbers, you’ll notice that the Nissan Leaf is down considerably – while others, including arch-competitor Chevrolet Volt – are up noticeably lately. The Leaf isn’t the only plug-in seeing declines in U.S sales. The BMW i3 has dropped way down this year, and Ford has announced that the Ford C-Max hybrid and plug-in hybrid will be vanishing in 2018. What’s behind it? Here are a few points to consider on the state of plug-in sales in the U.S………. Overall plug-in electric vehicle sales were up in February over the previous month and the previous year. Tesla Motors is behind much of that increase with Model S and the Model X, and the redesigned Chevrolet Volt has been seeing increases in recent months after a long period of sales declines. A period of change for the Leaf: Not long ago, the Nissan Leaf was seeing sales in the high 2000s to low 3000s, and was by far the best-selling electric car in the world; but sales dropped down in 2015 and into 2016. The Leaf sold only 930 units in the U.S. in February 2016, down 22.4% from February 2015. A new study by IHS cites the obvious reasons the Leaf has been seeing declines: cheap gasoline prices; increasing efficiency of conventional engine vehicles; and buyers’ waiting for the redesigned new model-year version of the Leaf that’s coming up, and other new electric vehicles that will be rolling out. Driving range may be part of it: While the 2016 Leaf in the SV and SL trims were put on the market in November with range increasing from 84 miles per charge to 107 miles per charge, Leaf sales didn’t go up. The “200 mile range” factor may be hurting Leaf sales. The Chevrolet Bolt was shown off at the Consumer Electronics Show in January with the announcement that the price competitive 200-mile range Bolt will be available by the end of this year. There’s also been a lot of interest in the Tesla Model 3 coming out in 2017 with a competitive starting price around $35,000 and more than 200 miles per charge. Tesla will have an unveiling of the Model 3 by the end of this month with more details on its availability and features released. Nissan hasn’t revealed details on the range of the redesigned 2017 Leaf. In 2014, Andy Palmer, who was then executive vice president and Nissan’s spokesman for the Leaf, said that the refreshed 2017 model would be going at least 186 miles on a charge to keep up with competitors. Nissan will be releasing details soon: Nissan has been quiet about the refreshed Leaf, but it’s expected to be announced soon – perhaps at the New York International Auto Show in April with sales starting in October. It could be later, such as sometime in 2018. There’s also been speculation that the Next-generation Leaf will arrive right after Nissan’s Power 88 business plan, which ends March 31, 2017. It will probably be tied to new battery chemistry for Nissan and Infiniti that should be ready by early 2017. An Infiniti luxury EV is on track for a 2017 debut; and the Leaf and an Infiniti EV may share the same battery technology. Leaf may look a little bit different: The Nissan Leaf will probably continue to have a hatchback layout, but with a more mainstream design. That’s the engineering and design direction Chevrolet took with the 2016 Volt and that Toyota adopted with the 2016 Prius. The new Volt doesn’t stand out as much on the street as the previous versions did and looks more like competitors, such as the Hyundai Sonata. The 2016 Prius has had fixes, such as its exterior base being lifted off the ground to avoid scraping when exiting driveways; its rear window being more visible for drivers; and its look changing the most since it was launched in Japan in 1997. Automakers have been going in this direction in recent years with aerodynamics, fuel-efficiency, and lightweighting becoming more important. It’s harder to tell them apart. I’ve wondered if that may hurt brand loyalty for the Leaf and Volt, as both of them have stood out clearly on freeways, much like the Tesla Model S.
Longevity of the Leaf: The Leaf has taken a bad rap over its relatively low resale value and range degradation of its battery. Both of these factors have been improved, with Kelley Blue Book recently commenting on resale values for the Leaf improving; and concern over the durability and performance of the Leaf battery waning. These problems do tend to linger in public perception, as the Chevrolet Volt and Fisker Karma experienced with their highly reported battery fires. The Tesla Model S went through that crisis as well, but the automaker did a much better job of dealing with it and reaffirming consumer confidence by adding its titanium underbody shield. There’s also a recall by Nissan that was just announced on about 47,000 2013-2015 model year Leafs that will look into braking performance in cold weather; the cars’ electronic brake booster may freeze, requiring the driver to exert more pressure on the brake pedal. Recalls aren’t necessarily a crisis for the vehicle if it’s handled promptly and professionally by dealers and OEMs. Limitations on dealer lots: The Chevrolet Volt has seen sales increases in recent months but hasn’t returned to its strongest monthly sales figures. The refreshed Volt is available in just a few states to accommodate the early rollout of 2017 model year in the spring of this year. Nissan launched the 2016 Leaf in October 2015 with a choice of two different battery sizes – 24kWh battery pack offering 84 miles of range and 30kWh pack with an EPA-rated range of 107 miles. That wasn’t enough to drive up sales. Nissan may be taking a more conservative approach by adding the extended range battery as an option only, and working on the new battery with nearly double the range for the 2017 or 2018 model year. What Ghosn thinks: Nissan CEO Carlos Ghosn and other company executives appear to be championing the Leaf, per usual; and the production process at the Smyrna, Tenn., plant has been about the same since the Leaf started being built there in 2013. Ghosn recently said that he thinks development of the charging infrastructure is a more important issue than battery range, but the company is still committed to leading the EV revolution. China may be more important than the U.S. market. Ghosn recently said that his company has high hopes for the China market. He thinks it will help that the Leaf is much cheaper than the Tesla Model S, and that pricing will be very important in that market to convince skeptical first-time car buyers that an electric car is the way to go. Nissan is likely spending more in the Chinese market on marketing campaigns. Marketing for the Leaf isn’t nearly as visible these days in U.S. as it was in the early days of 2011-to-2012. Nissan has been offering inexpensive lease deals, discounts, and a No Charge to Charge promo with free charging for two years in select markets. It will be interesting to see how Nissan markets the redesigned Leaf in the U.S. There’s also the possibility that the Chinese government may phase out subsidies for purchasing EVs, which would take some wind out of the sales of its growing EV market. What happened to the BMW i3? The BMW i3 has seen similar sales patterns as the Nissan Leaf. In December 2015, 1,422 units were sold in the U.S.; only 248 units were sold in the U.S. in February. The plug-in hybrid variant of the BMW X5 crossover utility vehicle did better – with 345 units sold in February in the U.S., versus 248 for the electric-only i3. The BMW i8 has dropped out of the top 10 in U.S EV sales. The honeymoon may be over for the i Series plug-ins, and BMW may not be that committed to selling them in marketing campaigns, incentives, and dealer programs. BMW did cross the 50,000 sales unit mark for the i Series in January. The i3 was launched in Germany in September 2013 and the i8 in June 2014. They were sent to global markets like the U.S. soon after their launches. BMW isn’t backing away from supporting the i3 and i8, but it appears to need even more support in this phase of declining interest in overall EV sales by consumers and fleets. BMW may be adding i5 to its i Series plus-in vehicles, with a lightweight carbon-fiber body, but the automaker hasn’t yet confirmed whether that will be added to its product offerings. Ford changes gears on C-Max series: It was surprising to hear that Ford will be killing off the Ford C-Max Hybrid and C-Max Energi plug-in hybrid models in 2018. Sales numbers haven’t been strong enough for Ford to stay committed to the relatively new crossover hatchback models. AutoForecast Solutions reports that Ford will end production of the C-Max at its Wayne, Mich., assembly plant in 2018. Ford will make room at that plant for the Ford Ranger, which has been made in Thailand, to compete with GM’s smaller trucks. In February, Ford had strong overall sales – except for the C-Max and the largely discontinued E-series van – which were the only two models that saw sales declines during that month. What happened to the C-Max? : When the C-Max was launched in the fall of 2012, it looked very good as a direct competitor with the Toyota Prius. The C-Max Hybrid sold 19,162 units in the U.S. in 2015; it was number 14 in December hybrid sales, and it used to be in the middle of the top 10. Ford sold 8,433 C-Max Energi units in 2015. It was number nine in plug-in sales for December, lower down on the list than it has previously been. The C-Max Hybrid was down 26% in 2015 in U.S. sales compared to 2014, and the Energi plug-in hybrid was down 10%. As for competing with the Prius, Toyota has been down in Prius sales as well with dropping gas prices hurting sales; but Toyota is still committed to the Prius brand, rolling out the refreshed version in late 2015 as a 2016 model, and stating its commitment to keeping it in production. Ford quickly lost interest and commitment to the C-Max. Fusion may be the winner: During February, the Nissan Leaf ended up in fourth place right behind the Ford Fusion Energi plug-in hybrid on the U.S. plug-in sales list. It appears that Ford may be sticking with the Fusion Hybrid and Fusion Energi. The midsize sedan has done consistently well in its sales position on the U.S. market for hybrid and plug-in sales. The Ford Focus Electric, a battery electric model, may be getting more internal support from Ford, along with the Fusion, than the C-Max has received. That’s a real shame. 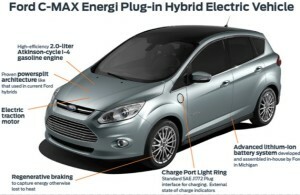 I was thinking of buying a C-Max Energi. I’ve been looking for a cost-competitive plug-in hybrid with a utilitarian design ideal for transporting goods, such as helping somebody move or taking my surfboard to the beach. It wasn’t that long ago that plug-in hybrids were assumed to be the best way to go in the U.S. market with range anxiety being a big concern for reaching Americans who put a lot of miles on their cars each year. It’s become more difficult to discern the best route to take for creating improving sales in the U.S. and overseas markets. The Nissan Leaf had been beating the Chevrolet Volt and Toyota Prius Plug-in, and the all-battery Tesla Model S grabbed that position in the EV race over the past year. Auto analysts do expect automakers to stay committed, overall, to rolling out more plug-in models in the next few years – to meet national fuel economy and emissions guidelines; with expectations that gasoline prices will eventually creep back up; and assuming that consumers and fleets do expect to have a long list of hybrid and EV models to choose from. EV and hybrid sales: Plug-in electric vehicle sales were up substantially month-over-month and year-over-year – 17% over January and 6.7% over February 2014. The Tesla Model S, Chevrolet Volt, and Ford Fusion Energi saw sizable gains over last year, while the Nissan Leaf was down 22.4%.The Nissan Leaf has been declining in its position as the clear market leader, coming in fourth place for the first time, narrowly behind the Ford Fusion Energi plug-in hybrid. Tesla is continuing to take the lead in overall electric vehicle sales, with the Model S far ahead of the Chevrolet Volt and Nissan Leaf – and the recently launched Model X seeing a 25% increase in sales over January 2016. Hybrids continue to be hurt by low gasoline prices, declining to 1.8% of overall market share when it was in the 2.5% range for a long time. Sales were down nearly 10% since last year. Three green versions of Ioniq: The 2017 Hyundai Ioniq might have been the most interesting green car news story from last week’s Geneva Motor Show. The hatchback was displayed in all three forms in which it’ll be sold: hybrid, battery electric, and plug-in hybrid. It will be the first vehicle offering by a major automaker offered in all three battery-powered options; while there’s been talk of it and concept cars, Hyundai appears to be serious about bringing all three versions soon. Self-driving cars right for elderly riders: Aging Americans will be well served by self-driving cars, according to Google – as 43 million American in the U.S. are 65 or older and another 10,000 people reach that mark every day. Nearly 80% live in suburbs and rural areas and will need more transportation support for doctor appointments, groceries, and seeing family and friends. Florence Swanson, 94, recently became the oldest person ever to ride in one of the Google self-driving cars; she was given that opportunity after her painting of a guitar player won a Google contest. Google self-driving car project CEO John Krafcik featured Swanson during a January presentation in Detroit. Krafcik, formerly head of Hyundai’s U.S. division and president of TrueCar, is one of about 40 automotive professionals who now work for the Google autonomous vehicle project. That makes for more than 20% of the 170 workers in that business unit. Those with auto industry experience have skills ranging from exterior design to manufacturing, and come from a wide range of companies including Tesla, Ford, and General Motors. Propane in truck fleets: Nestlé Waters North America is adding more than 150 medium-duty beverage delivery trucks fueled by propane autogas to its fleet. Baking industry leader Bimbo Bakeries USA has acquired 84 new propane-powered Ford F-59 trucks, to operate in three of the company’s major markets. Each Nestlé delivery truck is equipped with a California Air Resources Board- and Environmental Protection Agency-compliant ROUSH CleanTech propane autogas fuel system with a 45-usable gallon fuel tank. BBU’s truck’s were equipped with ROUSH CleanTech fuel technology; and each of these new propane autogas fueled delivery truck will cut carbon dioxide emissions by about 192,000 pounds compared to gasoline. Natural gas vehicles: The reduced cost of gasoline and diesel caused natural gas vehicle production and sales to drop last year, Matthew Godlewski, president of NGVAmerica, said to an audience at the Work Truck Show. Heavy-duty vehicles sales were flat, but the light-duty and medium-duty vehicle segments saw a drop in sales numbers. Steady growth in the natural gas fueling infrastructure and new natural gas engines are bright spots for NGVs, Godlewski said. AARP-E praises energy storage: The federal government’s Advanced Research Projects Agency-Energy reported making big gains toward creating a next generation of batteries for energy storage last week during its annual conference. ARPA-E director Ellen Williams said the agency has funded several high-risk battery projects that utilize newer technology than Tesla’s Powerwall batteries. Other good news for the energy storage market came from GTM Research/Energy Storage Association’s U.S. Energy Storage Monitor 2015 Year in Review. The U.S. energy storage market just had both its best quarter and best year of all time. The U.S. deployed 112 megawatts of energy storage capacity in the fourth quarter of 2015, bringing the annual total to 221 megawatts. DOE and EPA fleet programs: The U.S. Department of Energy increased funding for its SuperTruck II program designed to increase fuel efficiency of Class 7and 8 trucks; it will also provide funding for several projects that would develop alternative powertrains for medium-duty vehicles. During Green Truck Summit, DOE’s Reuben Sarkar announced that the SuperTruck II initiative would receive $80 million in funding, up from the initial proposal of $60 million. In other federal agency news, the U.S. Environmental Protection Agency is offering $26 million in grant funding to fleets to reduce diesel emissions from the existing fleet of diesel engines. The deadline to apply for the funding is April 26. Extended range: The 200-mile range per electric vehicle charge isn’t quite right, according to Daimler AG head Dieter Zetsche – 310 miles per charge range is “probably a reasonable number to pursue,” Zetsche said last week at the Geneva auto show. Another needed step: battery costs must fall for EVs to reach prices that will prompt consumers to swap gasoline-powered vehicles for electrics. The state of VW: Last month, U.S. District Judge Charles Breyer set a March 24 deadline for Volkswagen to state whether it has found a fix for 600,000 diesel cars that is acceptable to U.S. regulators. No deal, according to VW brand chief Herbert Diess; it will take months rather than weeks to reach an agreement with U.S. regulators on an emissions fix, a newspaper reported on Saturday. 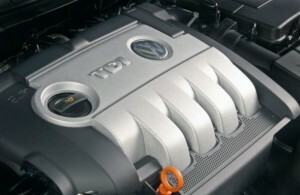 In other news, a detailed report was submitted to a German court on Feb. 29 by law firm Goehmann stating that VW delayed releasing information on the diesel situation to allow for talks aimed at reaching a settlement with U.S. regulators; and that the talks could have been jeopardized if the matter was already public. The law firm is arguing for VW that the delay was a legitimate move aimed at striking a deal with regulators. If you work in the auto industry, staying informed can be all-consuming these days – with the Takata airbag recall, the Volkswagen diesel car scandal, automakers striving to become the first one selling self-driving cars, and the impact low fuel prices is having on green car sales. There is one topic I would advise you to stay current on, as it touches upon all the rest – connected car technologies. Connected cars is what we have now with mobile device connectivity to our dashboards for entertainment and driving directions – such as Bluetooth bringing Pandora from your smartphone to your car’s sound system; the deployment of safety features like lane departure warning systems, backup cameras, and driver assistance systems that are considered stepping stones to autonomous vehicle technologies eventually becoming the norm; intelligent transportation systems coordinated by the U.S. Dept. of Transportation with its goals of making roads safer and more efficient; and mobile apps on devices that lead you to the closest electric vehicle charging station and other features that make your car your own personal mobility device. Here’s an overview of what’s happening lately in connected car technologies……..
Hacker threat: Automakers and suppliers think we’re very close to seeing connected car technologies being added to all new vehicles sold. A survey of OEM and supplier managers says they think it will take one to three years to secure the technology, according to a new study by International Data Corp. and commissioned by security company Veracode. The study came from test study last year showing by professional hackers taking over a Jeep Cherokee, raising the flag on the possibility of hackers making cyberthreats that they can carry out. The auto industry is aware that adopting these systems widely may bring privacy and safety problems, but companies are working hard and resolving and moving the technologies forward. Fuel station of the future: At the Geneva Motor Show, Nissan showed a video presentation on it 12-month long project examining the role electric cars, autonomous vehicles, and vehicle-to-grid technology could play in the city of the near future. Nissan Europe has been collaborating with noted architects Foster + Partners on a project that imagines electric cars that can recharge themselves wirelessly both at home and elsewhere. What Nissan calls “The Fuel Station of the Future” integrates electric autonomous vehicles, the internet, and renewable energy. 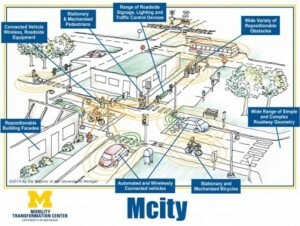 Mcity: Along with Silicon Valley r&d labs, the University of Michigan’s Mcity project in Ann Arbor, Mich., has become the epicenter of connected car technology development. The University of Michigan Center for Entrepreneurship just created a partnership with the U-M Mobility Transformation Center to launch the pilot of the TechLab at Mcity. TechLab is a training ground for student interns to experience the process of transforming a lab innovation into a company, which will prepare them for the real world of product development. The Mcity test facility was launched last year, and comes from an alliance over several years between automakers, technology companies, the U.S. Department of Transportation, and the university. The full-scale, 32-acre urban environment provides real-world road scenarios – such as running a red light – that can’t be replicated on public roads; vehicle-to-vehicle (V2V) and vehicle-to-grid (V2G) technologies are part of testing grounds. Last fall, Ford became the first automaker to launch an autonomous vehicle test program at Mcity. The Ford Fusion Hybrid Autonomous Research Vehicle merges today’s driver-assist technologies, such as front-facing cameras, radar and ultrasonic sensors, and adds four LiDAR sensors to generate a real-time 3D map of the vehicle’s surrounding environment. Connected car trade group: Connected car technology is becoming enough of an industry norm to create a trade group and a few conferences. The Connected Vehicle Trade Association (CVTA) announced that Paul Laurenza has been promoted from vice chair to chairman of the organization. Laurenza head national law firm Dykema’s motor vehicle and consumer product safety federal regulatory practices. Laurenza has advised clients on connected vehicle legal and policy issues for more than a decade, and is a frequent speaker and author on emerging intelligent vehicle technologies. CVTA was created to facilitate the interaction, and advance the interests, of the entities involved in the vehicle communication environment and developing bidirectional vehicle communications. Conferences: Automotive Megatrends Magazine is hosting three events in Detroit this year combined into one. On March 15-17, day-long conferences will cover connected cars, autonomous vehicles, and fuel-efficient vehicles. All three will take place at The Henry in Dearborn, Mich. Connected Car Expo will take place again at the beginning of the LA Auto Show on Nov. 15-17, 2016. Keynote speakers will include John Zimmer, co-founder and president of Lyft, Inc.; and Arwed Niestroj, CEO of Mercedes-Benz Research and Development North America in California. Who’s right – Musk or Zuckerberg? In an interview with Axel Springer CEO Mathias Döpfner for the German newspaper Die Welt am Sonntag, Facebook CEO Mark Zuckerberg doesn’t agree with Tesla CEO Elon Musk’s concerns over machines being stronger than humans, taking over and wreaking havoc. Musk and colleagues have serious fears that artificial intelligence could one day dominate and take over the human brain. They’ve poured money into a Y Combinator-led project to make sure it doesn’t happen. Zuckerberg thinks it’s more hysterical. “I think that the default is that all the machines that we build serve humans so unless we really mess something up I think it should stay that way,” Zuckerberg said. Fiat Chrysler and Apple? Fiat Chrysler Automobiles CEO Sergio Marchionne, who describes himself as an “Apple freak,” would love to partner with the technology giant on building a car. Apple Inc. would be well served to partner with an established global automaker, given the complexity of auto manufacturing, Marchionne said at the Geneva Motor Show. Besides, Marchionne loves Apple’s technologies and owns every kind of product the company makes. Marchionne has been spending a great deal of time in the past two years looking for a major corporate partner to merge with – to eliminate Fiat’s debt and boost its profits. FCA has been behind its OEM competitors in electric vehicles, advanced connected car technologies, and mobility services. Partnering with Apple could be ideal, since that technology has invested in electric and autonomous vehicle technology projects – and would be better partnering with one or more OEMs. 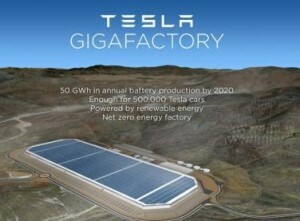 Nevada workers protest at Gigafactory: Hundreds of union construction workers walked off the job at Tesla Motors’ “Gigafactory” battery manufacturing plant in northern Nevada yesterday, and some picketed outside the main gate, to protest what union organizers say is the increased hiring of out-of-state workers for less pay. About 350 plumbers, carpenters, electricians, painters and others walked away from the construction site Monday along U.S. Interstate 80 about 25 miles east of Reno. More than 100 picketed outside the main gate. Workers are protesting against what they say is an unfair labor practice that undermines promises to hire mostly Nevada workers in exchange for more than $1 billion in state tax breaks. Tesla said in a statement that it is in compliance with all state requirements. Tesla had begun manufacturing energy-storage devices, including the Powerwall for homes, at the plant. Tesla also had some good news – winning in Indiana, where a bill that would have stopped the company from selling its electric cars in the state was tabled. Tesla has been licensed to sell its cars directly to consumers in Indiana and has operated one store in Indianapolis for two years. General Motors was behind the lobbying to block Tesla in the state as the Detroit automaker gets ready to roll out its competitive model, the Chevrolet Bolt. Volkswagen update: Former VW CEO Martin Winterkorn was informed that the carmaker had told regulators it was using emissions defeat devices two weeks before the diesel engine scandal became public, German tabloid Bild am Sonntag reported……. U.S. District Judge Charles Breyer in San Francisco said he wants a definitive answer on the status of a fix by March 24 from VW. With VW admitting in September that its vehicles on U.S. roads were using software to emit up to 40 times legally allowable pollution, Breyer wants to see the case move forward soon. Hybrid pickups: General Motors is going to give hybrid pickups a test run once again. GM will market test 500 Chevrolet Silverados and 200 GMC Sierras in California. They’ll be equipped with a new version of GM’s eAssist mild hybrid start-stop system. The Chevrolet Silverado 1LT two-wheel-drive crew-cab model and the GMC Sierra Crew Cab two-wheel drive with SLT package will come with eAssist for a $500 charge. Clean Cities budget cut: The U. S. Department of Energy announced its 2017 budget proposal that includes a 32% reduction in spending for the Clean Cities program from $48.4 million in FY2016 to $31.5 million for FY2017 (which starts on Oct. 1, 2016). That will completely eliminate funding for the Alternative Fuel Vehicle Community Partner projects. The vehicle technologies deployment fund also had its funding decreased, from $32 million to $23 million. That budget does include an additional $60 million to develop ways to double the fuel efficiency of Class 7 and Class 8 commercial vehicles by 2020. Zipcar upgrades its services. Zipcar is finally dealing with the ongoing criticism that you always have to return the carsharing vehicle to the same place you picked it up; and extending the rental has been an annoying process. Zipcar said that “designated vehicles” will be available for one-way trips, reservations can be extended indefinitely, and final destinations can be changed in the middle of a trip. The company has already been piloting the new features in Boston in collaboration with Honda, and the national rollout will use Honda Fits exclusively at first. Uber self-driving cars: Uber will be opening a new Advanced Technologies Center in Pittsburgh, where its autonomous vehicle research operations are headquartered. The company will build temporary roadways to test self-driving cars as part of its expansion, as well as housing and park space. It will be the first major move since the test project was launched a year ago with Carnegie Mellon University. Nissan protecting Leaf from hackers: Nissan felt the need to tighten the security of its Nissan Leaf electric car so that hackers don’t take control. The NissanConnect EV app, which allows Leaf drivers to control the car’s heating and cooling over the phone, had a security flaw publicized by Australian researcher Troy Hunt, so it’s been disabled. Motiv Power Systems and Morgan Olson are collaborating to provide an all-electric option for Morgan Olson’s popular “Route Star” walk-in van, built on the Ford F59 chassis. Both companies will be exhibiting at The Work Truck Show in Indianapolis, March 1-4. An F59 chassis equipped with a Motiv all-electric powertrain will be on display in booth #5667. This deal brings together a battery electric powertrain supplier for trucks and buses, and a leading manufacturer of walk-in vans announced today in a partnership to put more all-electric delivery trucks on America’s roads. Plug-in Mini Countryman: The next Mini Countryman crossover may get a plug-in hybrid powertrain, with a shared platform coming from the European-market BMW 2 Series Active Tourer. Plans for a plug-in hybrid Mini were confirmed by Andreas-Christoph Hoffman, Mini’s global communications head. PERC participating at Work Truck Show: The Propane Education & Research Council will again participate in the Green Truck Summit sessions at the National Truck Equipment Association’s Work Truck Show in Indianapolis. Tucker Perkins, PERC’s chief business development officer, is joining representatives from across alternative fuel industries to discuss “Work Truck Trends and Outlook for Alternative Fuel Technology” from 9:30 to 10:45 a.m., Tuesday, March 1. Perkins will also lead a panel called “The Propane Autogas Advantage: Reduce Your Total Cost of Ownership” from 8 to 9:15 a.m. Wednesday, March 2. Gasoline prices may stay down for a while, but OEMs don’t seem to be backing away from producing zero, or near-zero, emissions vehicles. Industry forecasters tend to agree that green cars will make up a sizable percentage of global new vehicle sales in the fairly near future. Honda is striving to produce two thirds of its new vehicles that will be electrified in some way by around 2030, according to Honda president and CEO Takahiro Hachigo. That will include hybrids, plug-in hybrids, battery-electric, and hydrogen fuel-cell vehicles. In 2015, Honda produced about 4.5 million vehicles worldwide; if Honda were to stay at that current production schedule, it would mean that nearly three million of its new vehicles would be electrified in some form. This will tie into the company’s plans to better allocate manufacturing around the world and reorganize its management structure, Hachigo said. It would also fit well into its corporate sustainability targets. Toyota is moving in that direction, most likely without too many plug-in vehicles. Last October, the company announced in a report that it plans to sell 1.5 million hybrids globally by 2020 and more than 30,000 fuel-cell vehicles by that same year. It’s one part of a grander scheme to reduce its corporate carbon emissions 90% by 2050 from where it stood in 2010. Ramping up factories with renewable energy and hydrogen-based production methods will help the automaker hit that target. The plans so far don’t include any commitments to support battery-electric vehicles; but there’s always plug-in hybrids such as its Toyota Prius Plug-in. The company does want to get away from selling combustion-engine cars. Bloomberg New Energy Finance released a study forecasting that 35% of new vehicles sold worldwide will have a plug by 2040. Pricing will be coming down as lithium batteries become more affordable. Long-range electric cars will cost less than $22,000 (in today’s dollars), according to the Bloomberg projections. Government policies in the U.S., China, and Europe will continue to be a big incentive for consumers and fleets to buy electric cars. Falling oil prices won’t play as big a role in the future as they do today as sticker prices on EVs start dropping, according to the report. Lux Research still thinks we’re a few years out of the “EV Inflection Point” when plug-in cars (both battery electric and plug-in hybrid) make up more than 50% of new car sales. In the 2016 edition of the EV Inflection Tracker, Lux estimates that the EV Inflection Point is in the 2035-2040 time-frame. Lux is using EVs with greater than 200 miles of driving range at a price point of $35,000 or less as a benchmark for a significant acceleration of adoption. “Given the lack of any vehicles, let alone a wide variety, that meets these criteria, we’re far from the EV Inflection Point,” a Lux Research e-newsletter article says. Volkswagen has been indicating for several months that electric vehicles (EVs) will be a solution to its current diesel vehicle reporting scandal. The U.S. Environmental Protection Agency seems to agree. EPA has asked Volkswagen to produce EVs in the U.S. as a way of making up for its rigging of emission tests, the German newspaper Welt am Sonntag reported. The article said EPA has asked VW to produce electric vehicles at its plant in Chattanooga, Tenn., and to help build a network of charging stations for EVs in the U.S.
Europe is a growing market for EV sales. Europe has seen substantial growth in EV sales; at about 75,000 new vehicles registered, it was nearly 50% higher last year in sales than was seen in the 2014 numbers. Seven of these European nations made a top 10 EV global sales list for last year with Norway, France, the U.K., and Germany accounting for about 75% of all registrations/sales for the year. Navigant Research’s John Gartner anticipates that sales volume will go back up in the next couple of years. By 2017, there will be several new EVs for consumers to test drive from Audi, BMW, Ford, GM, and Tesla. Expansion of the charging infrastructure is likely to increase EV adoption, as well. Survey results from Navigant have shown that U.S. consumers see the availability and inconvenience of charging EVs as the main reasons not to switch from gasoline to electric-powered cars. In its “Cars 2025” study, Goldman Sachs predicted that a quarter of new vehicles sold will be hybrid or electric. “Regulations on fuel economy and CO2 emissions are forcing carmakers to make engines more efficient. By 2025, 25% of cars sold will have electric engines, up from 5% today. But most of those will be hybrids, and 95% of cars will still rely on fossil fuels for at least part of their power,” according to the report. Daimler is playing a reticent role in supporting clean vehicle technologies. Daimler CEO Dieter Zetsche said the company has ruled out investing in battery cell production for EVs with other German premium brands for at least another few years. He thinks that massive overcapacity in the market that has turned cells into a commodity. German automakers have not been creating as supportive a market for EV sales growth within that country as have other European markets. Daimler has also been behind on fuel cell vehicle support – not selling that many of them even though it has been producing and marketing its own fuel cell car. It’s also been interesting that Daimler has been a large investor in Tesla Motors but is not doing very much with Tesla’s technologies. Daimler is using the Tesla drivetrain in its electric Mercedes-Benz B 250 e model. It’s become a more sensitive issue in Germany since November when Tesla CEO Elon Musk said that the German government had approached Tesla to discuss state subsidies for building a battery plant in the country. Japan has been a much larger producer of EV battery packs. Battery cells used in plug-in hybrid models made by German automakers including the Audi A3 e-tron and BMW i3 battery-electric car come primarily from Asia; in these two cases from Panasonic and Samsung SDI, respectively.